Runs with Sole: My races of 2015! 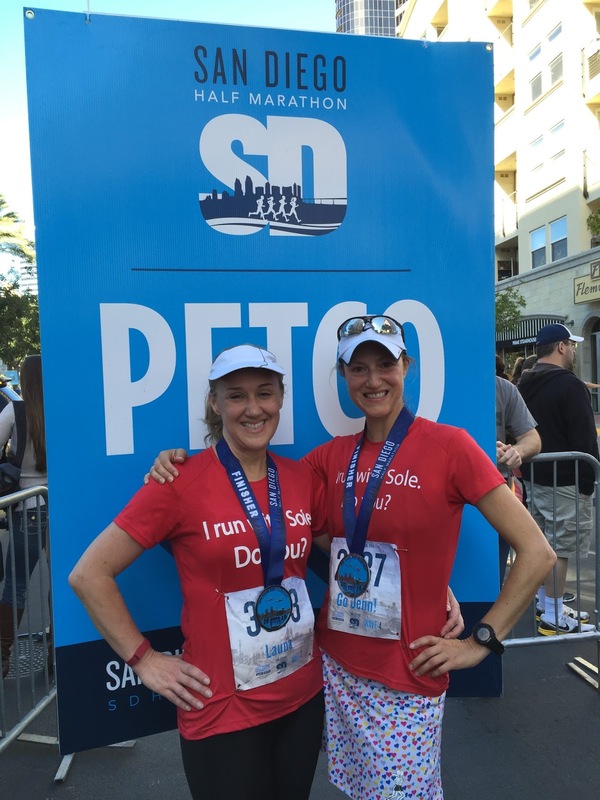 Before I begin, I'm linking up with my friend Smitha at Running With SD Mom and Dani at Weight Off My Shoulders for their Running Year in Review link up. I'm also linking up with the Tuesdays on the Run blog linkup with My No-Guilt Life, MCM Mama Runs and Marcia's Healthy Slice. They're also talking about races of the year. Be sure to check them out when you're done here! 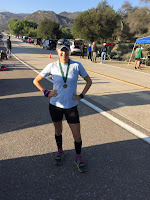 This was my first time running the Carlsbad full marathon. The 2012 Carlsbad half marathon was my first California race after moving here. 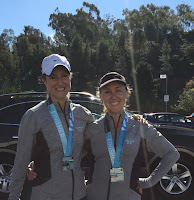 But this year a good friend of mine, Launa, chose the full as her first marathon and to help her feel more comfortable about it, I told her I'd run it with her. It was good training for my 50-miler later in the year. I was sick, so I didn't finish well but all-in-all it was a good race. Didn't love sections of the course, but that's how marathons go. This was a last minute race for me. 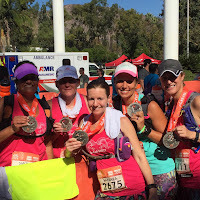 A bunch of us ran 7 before the race, then the race, for a total of 20 that day. Training is fun! 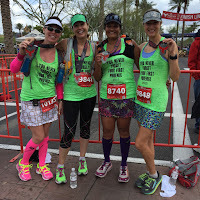 This was the first marathon for my friends Smitha, Jamye and Thia. We made a girls trip out of it and had a blast. 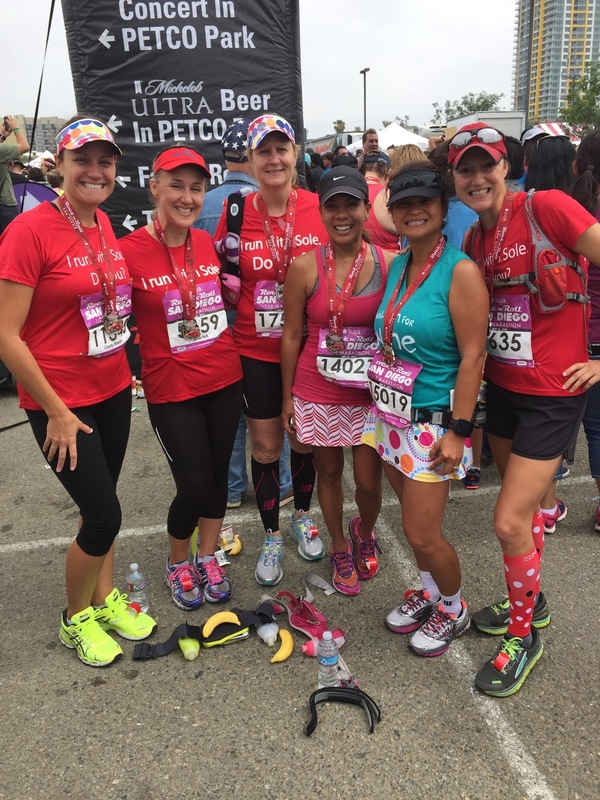 The race itself was just ok but the time with friends was outstanding. I felt really honored to be a part of their first marathon experience. 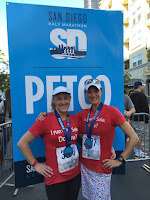 This was my 4th year running the SD Half Marathon. I've run it every year it's been in existence and hope to keep that streak up! This was the second time I did this race. I love it so much! Hopefully I'll be there again in 2016. Still not sure. 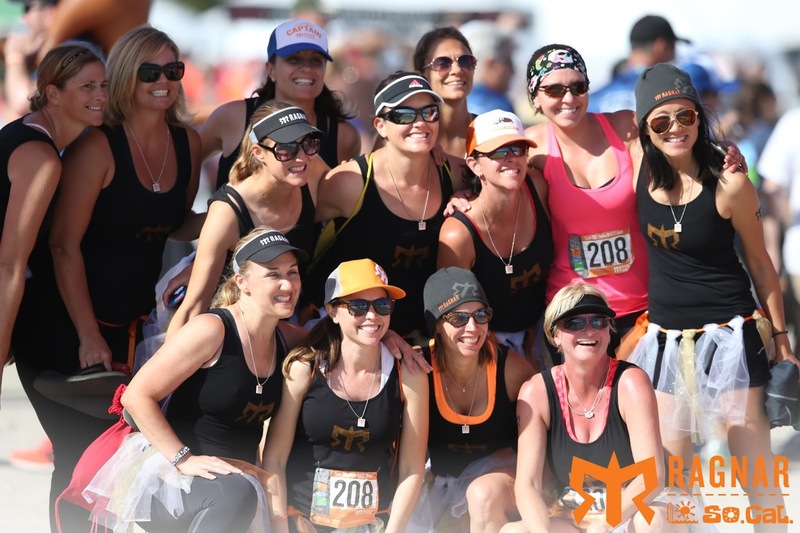 This was my first Ragnar Relay. 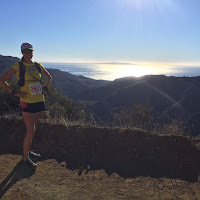 I could talk about Ragnar all day long, but I'll spare you :) It was a great experience with friends and I'm looking forward to it again in 2016. If you have any team name suggestions, add them below! We're at a loss! 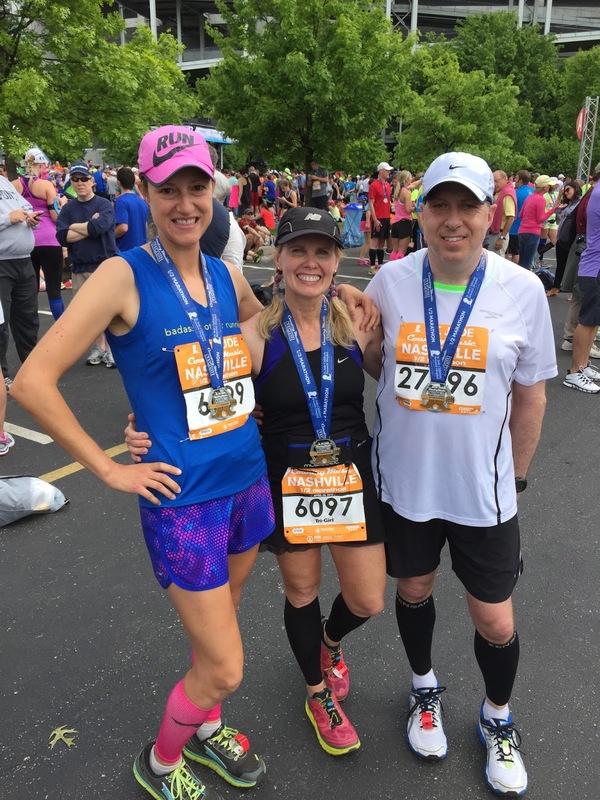 Ever since I moved to California, my dear friends from the DC area, Steve and Tish, and I try to meet for a race every year. This year we picked Nashville and I'm so glad we did. It was a new place for all three of us and it was a blast! The race was great and we just fell in love with the city. I'd totally love to go back! This was the big kahuna for me this year: my first 50-mile race. Over the past couple of years, I developed a love of the San Diego trails and ultra running. I wanted to really challenge myself with something different. Something not many people can do. The first 4 months of 2015 all led to this one race and it was such a great day. I mean, I hated the last 10 miles, but overall it was a great day. I felt so proud of myself for not giving up. It takes a lot to run for 12 hours straight, up and down mountains. I feel like I can conquer anything now. And if I can't the first time, it won't deter me. I know I'll get it. No races in June, July or August! Can you believe it?? 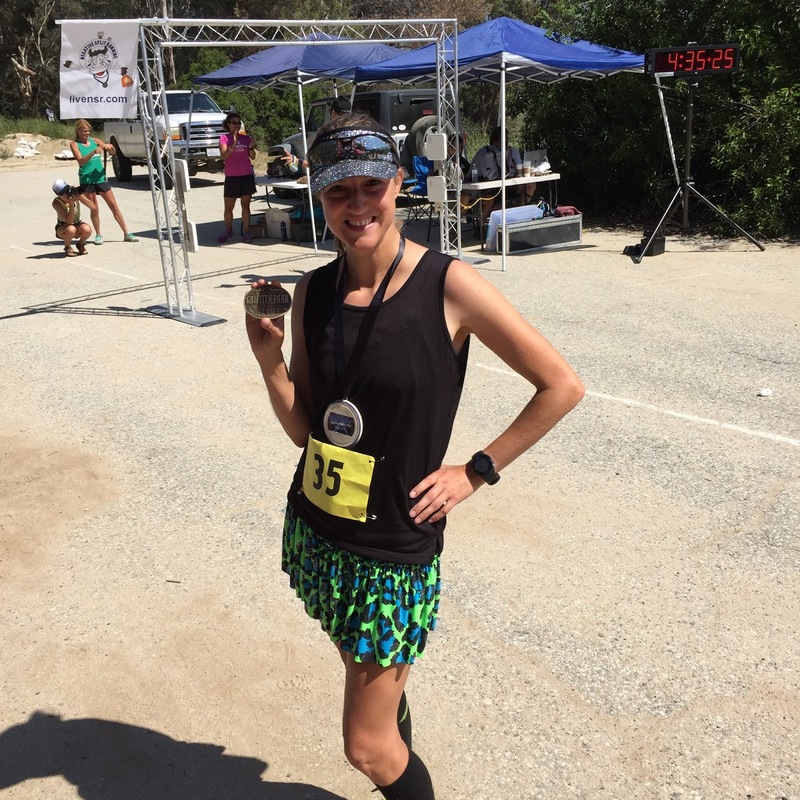 This was my second year running the Noble Canyon 50K. I did better than last year, so I was happy about that. But this is by far one of the more difficult races I've done. I said after this year I wouldn't do it again, but it's part of the San Diego Slam, so I'll have to do it again at some point. Sheesh. No races in October either! 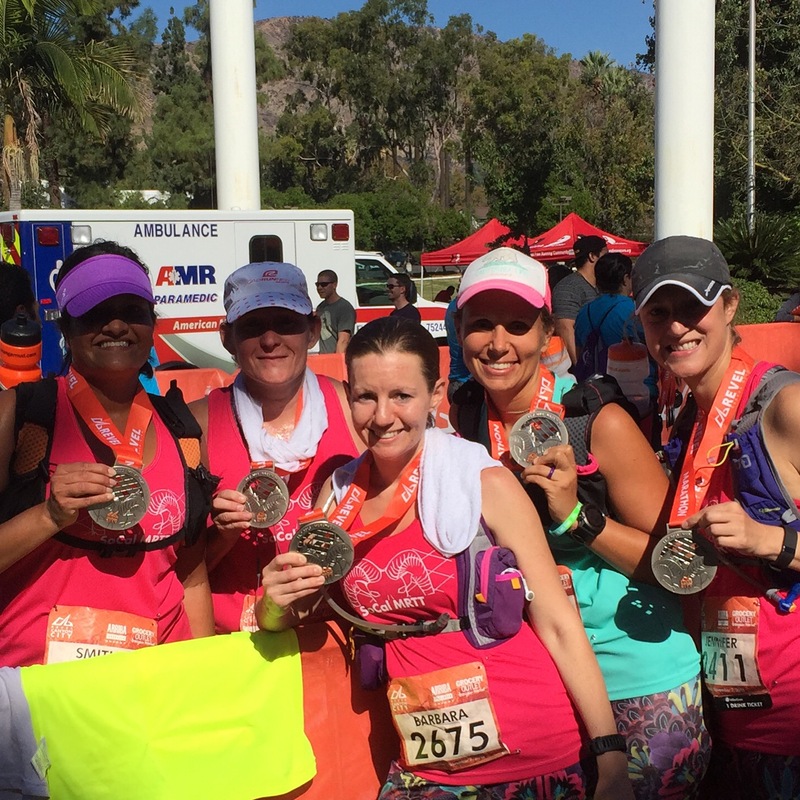 This was my second time running Revel Canyon City, though last year I did the half. This year the full was better for my training, so that's what we did. 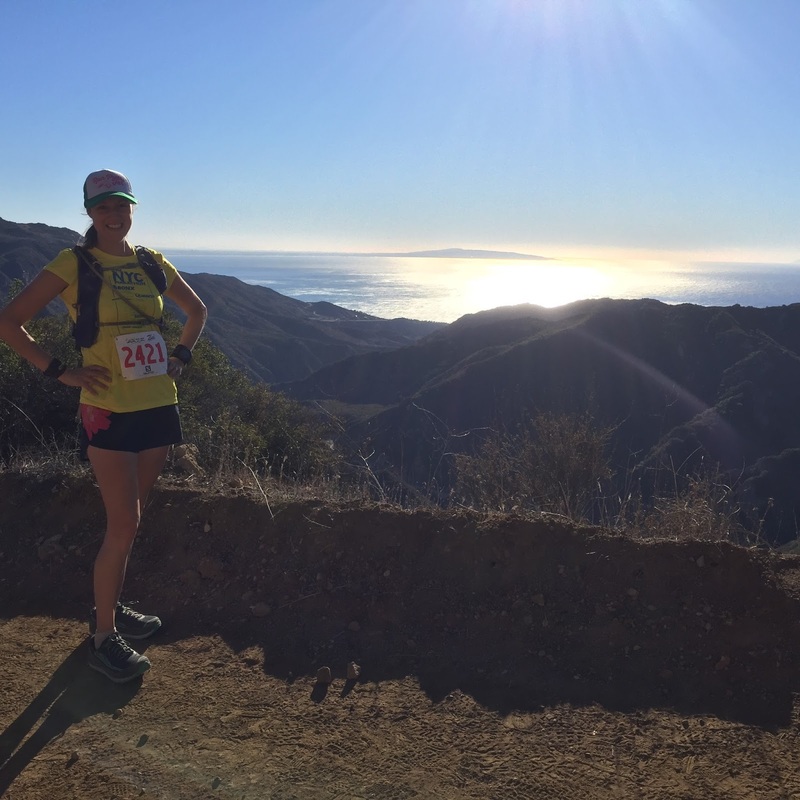 It is a tough course with over 5000 feet elevation loss over the first 1/2 of the race then rolling hills for another 10 miles, then flat to the finish. It's a tough transition to make. But aside from that, it was a good race and we had a great time together! 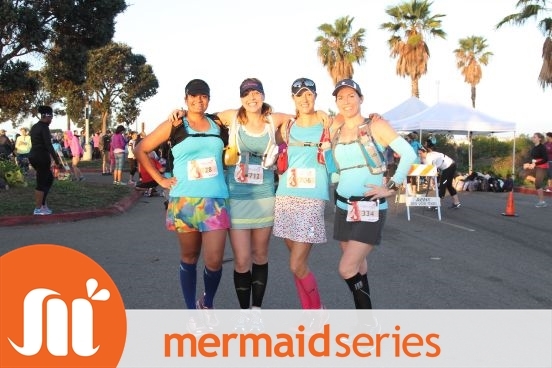 This was my last race for the year and the last big run (over 25 miles) before the San Diego 50-miler in January. I was sick the week leading up to the race, so I really just wanted to finish with dignity. It's a looped course, meaning we ran a 16-mile loop twice. The first half of the loop goes 5000 feet up for 8 miles and the second part goes down. Then you do it again. Ugh. The first loop was not pleasant as I was snotting and snorting for most of it (thank you, Vanessa, for putting up with me) but the second loop was much better. 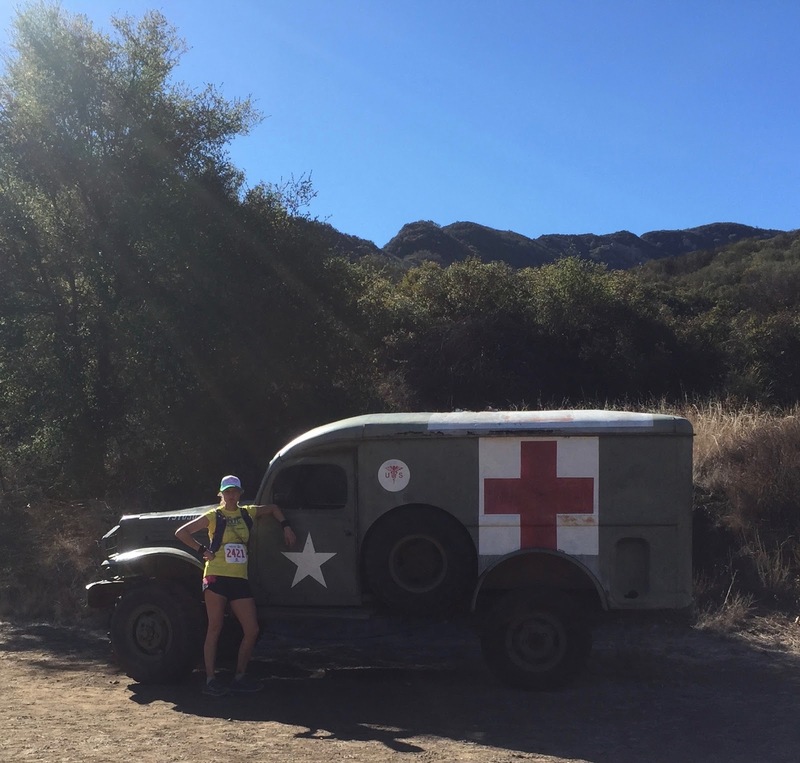 And we got to run through the area where they filmed M*A*S*H.
And that's a wrap on 2015 races. 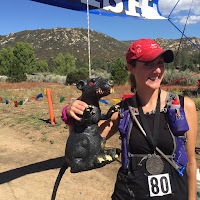 Races alone tallied 293 miles! Which one was my favorite? Probably the PCT 50 because it meant so much to me. Which one was my least favorite? Probably Rock n Roll San Diego. I just don't love the course that much. It's expensive, crowded and logistically a pain to get to and get home from. But I love running it with friends. Any race is made better with friends. 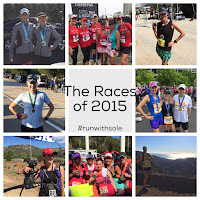 What was your favorite race in 2015? Least favorite? Congratulations on all of your fantastic races, wow! 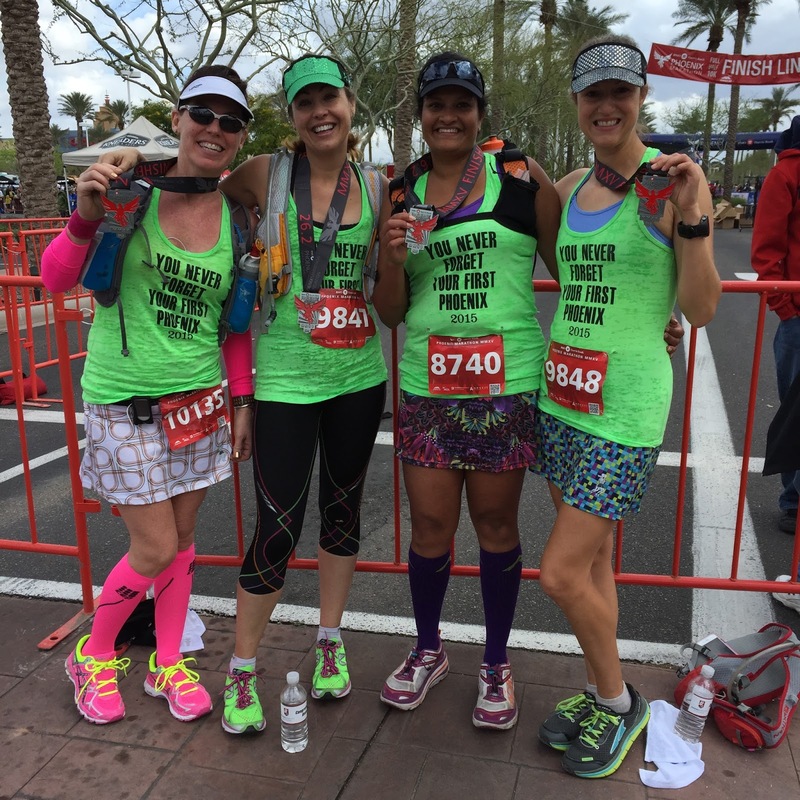 It's great when you can run with and support friends on races. I think 2016 is going to be a great year! Thanks Janelle! I know there's no way I could have had the year I did without the support of my friends and family. It means the most! So awesome! I need to do a month by month review of 2015! I love that method of breaking it down! Thanks! It was the best way for me to remember everything!! Thanks Steve! I'll pose your suggestion at our next team meeting. But I think they're looking for something more wine related ;) Maybe "Run now, Wine later," but I think it's been used a lot. Congratulations on all your races. Especially the 50 miler one. 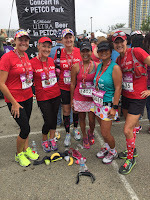 I recently did my first ultra. A 50k. Not sure if I will ever complete a 50 miler. Way to go! Thanks! I used to think I would never do a 50 miler too...just saying ;) Happy New Year! Congrats on the GREAT year of running! My favorite race this year was the Captain America 10K. So much fun! Thanks Patty! I loved the medal you posted for that race. Those Disney medals are awesome! Happy New Year! 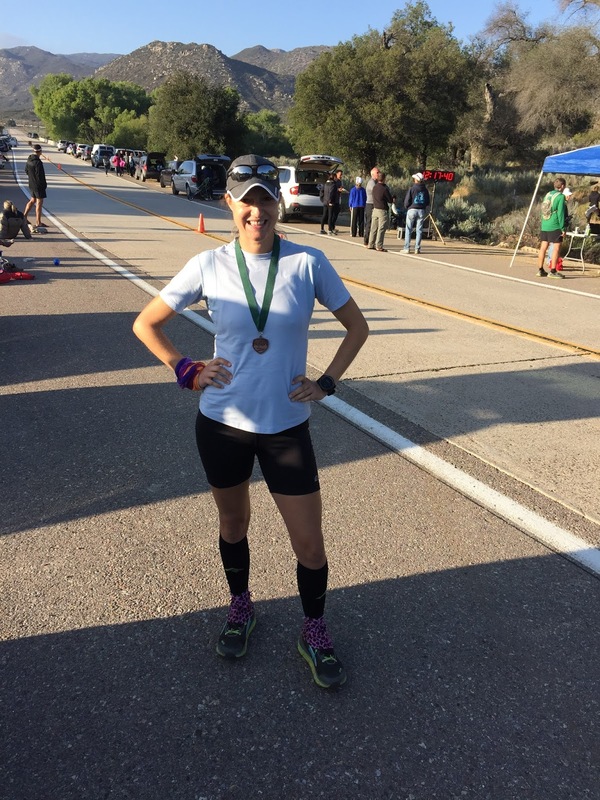 Congrats on your first 50 mile race! That's awesome! Sounds like a wonderful year! So many race miles! Thanks, Sherry! Happy New Year!